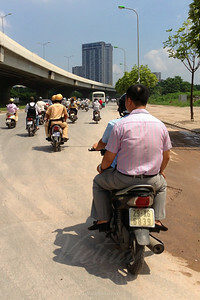 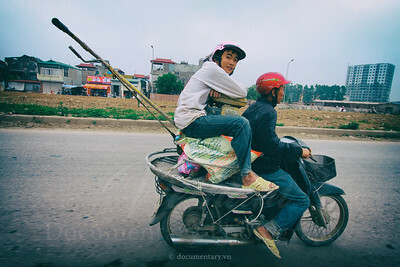 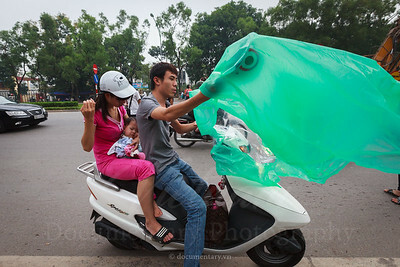 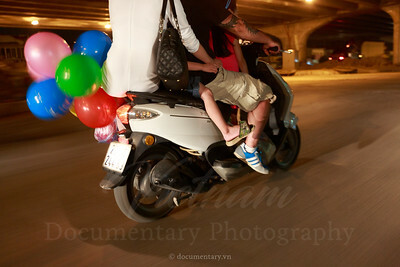 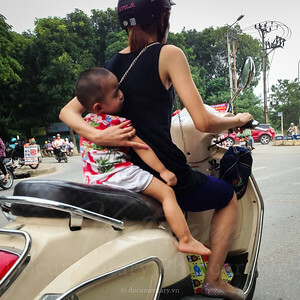 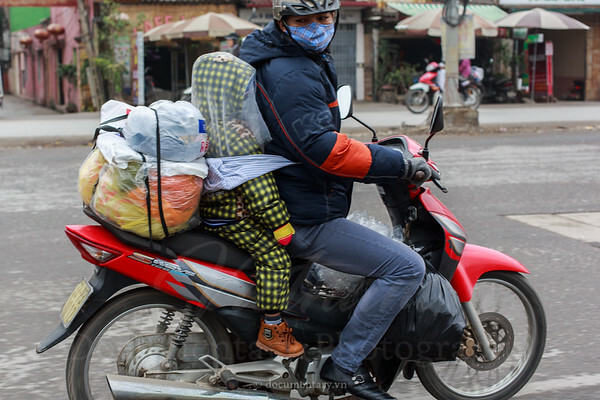 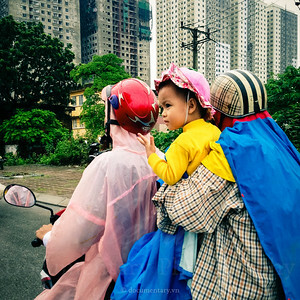 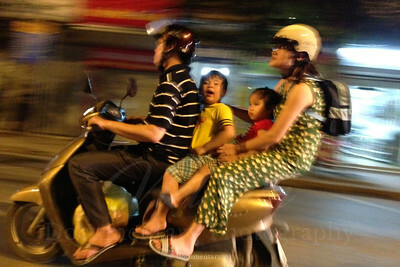 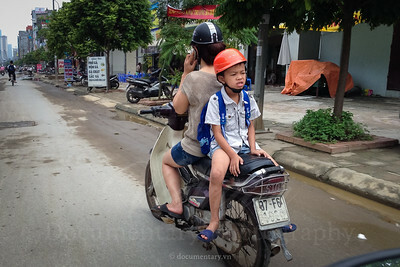 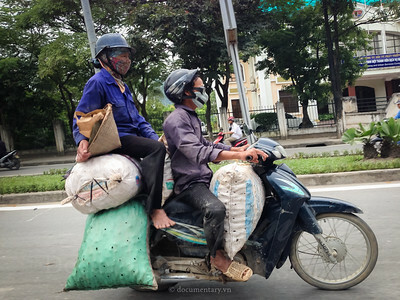 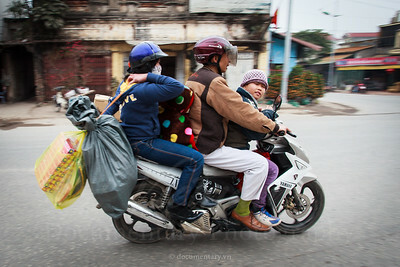 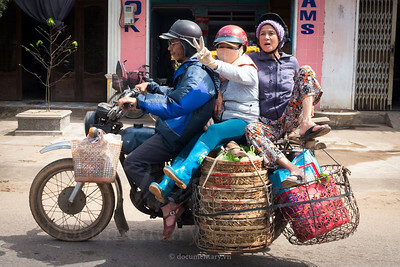 A family ride home on a motorbike for Tet holiday. 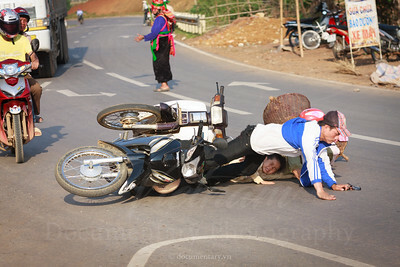 Phú Xuyên district, Hà Nội, Jan 2011. 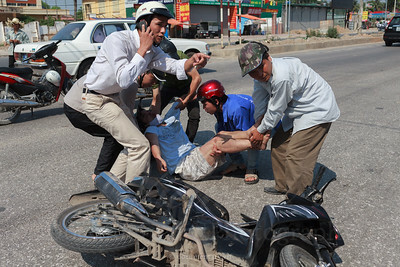 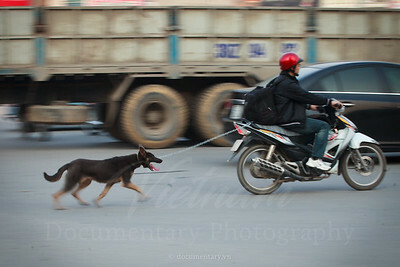 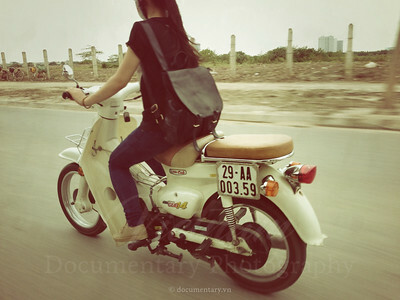 A dog leashed to a motorbike crosses a busy intersection in Thanh Xuân district, Hanoi, Mar 31, 2011. 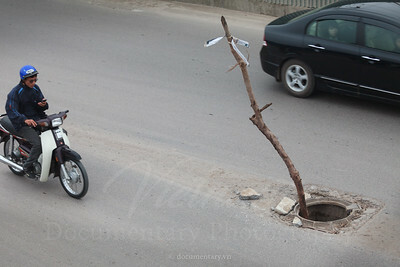 This tree has been set on a manhole for more than 3 days to temporary replace the stolen cover. 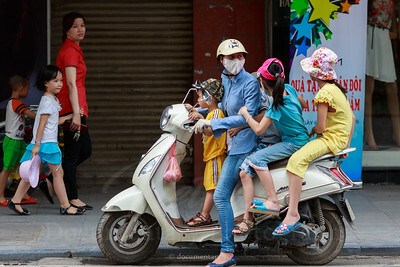 Nghiem Xuan Yem road, Hanoi, Apr 5, 2011. 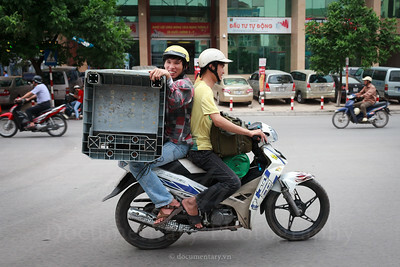 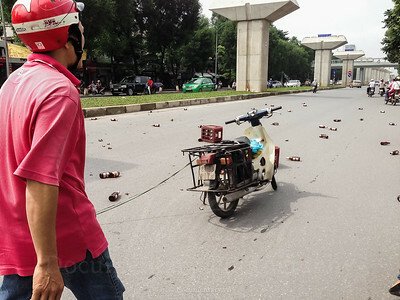 Two men carrying a fridge on Lang Ha road, Hanoi, Sep 21, 2011. 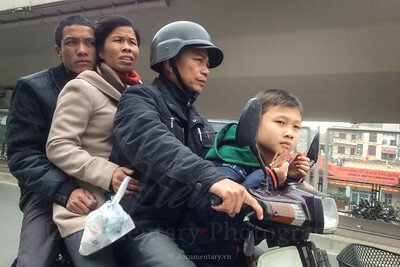 A famimy on a motorbike. 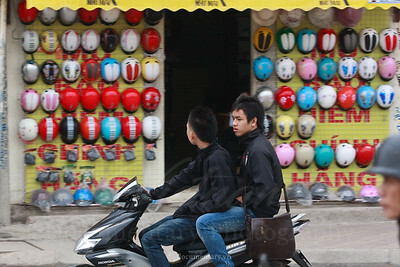 Hoài Nhơn district - Bình Định province, Jan 2013.